What is a heat pump tumble dryer? ​2 Kw 3 Heat settings Provides soft radiant heat Adjustable thermostat Frost watch! 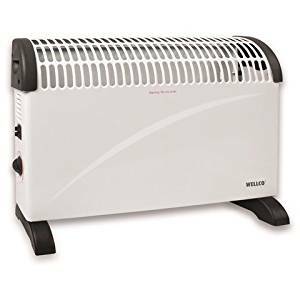 ​Introducing the Wellco H204 2KW Convector Heater that is perfect for use in any room (except bathrooms) where there is no heating or heat is required.The heat provided by the H204 gives a soft heat and it's adjustable thermostat offers you greater heat control. It can be used either freestanding so that it can be moved from room to room or wall mounted for a more fixed heating solution.